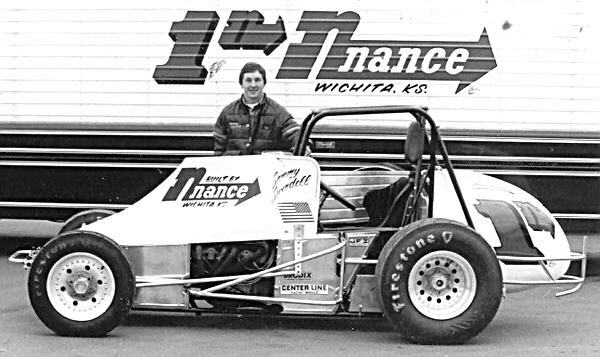 LaVern Nance the Gentleman of racing from Wichita. Mr. Open Wheel of Wichita Kansas. Lavern with 4 of his Nance built cars at the WoO Mile High Nationals in 1978. 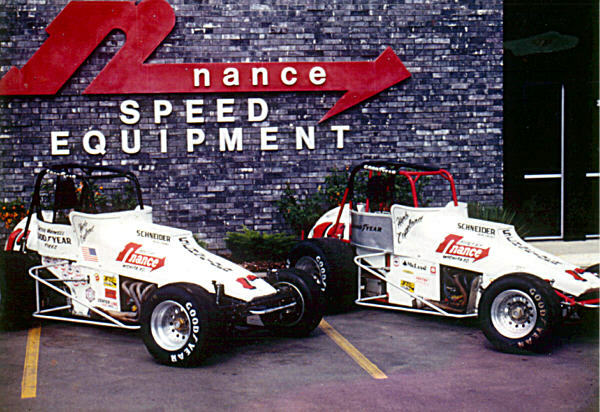 The one on the left is the Nance House Car 1n, the next one has Leland McSpadden on it, then the 11 of Joe McCarthy, and then the #71 Lyle Dill sprinter. Lavern with early 80's 1n that Mike Peters drove. 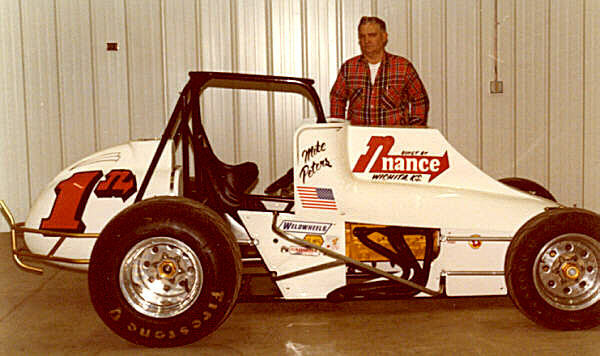 Sammy Swindell with the Nance 1981 rig and champ car. 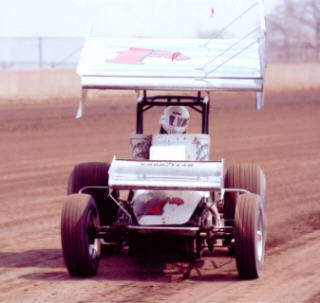 Sammy in 1982 at the Springfield, Illinois fairgrounds mile. Nance cars ready for shipping. 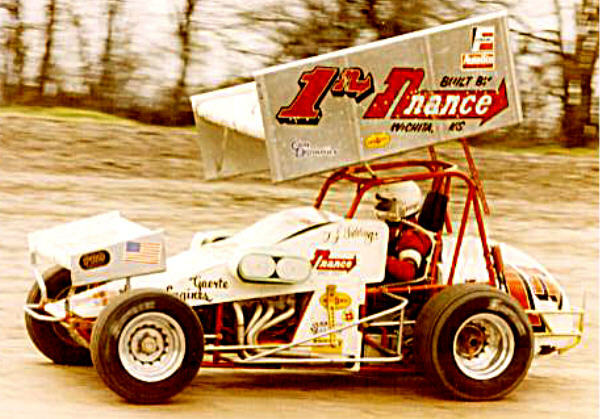 Sammy Swindell 1n and the Steve Kinser 11 at East Bay near Tampa Florida in 1981. Photo contributed by John Stewart. 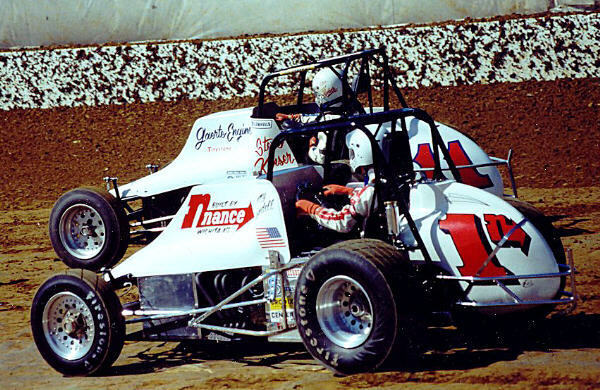 The 1981 Championship Nance cars with Herb Copeland at the wheel. Photo contributed by Dennis Dye. 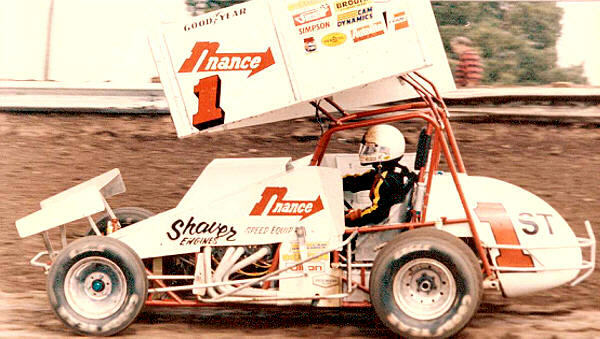 Sammy Swindell with the Nance Sprinter in 81. 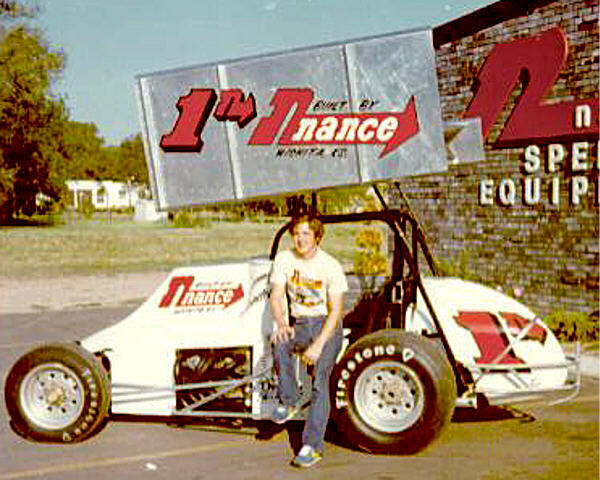 Jac Haudenschild at OKC in the Daryl Saucier owned Nance Sprinter. Not sure is this wasn't also a Nance House car with Daryl as the crew chief? LAP #3 of the LaVern Nance Page.